This Saturday the 5th May we’re celebrating local British Lamb with demonstrations, information and recipes that highlight the delicious possibilities of Lamb and the versatility of Wool. 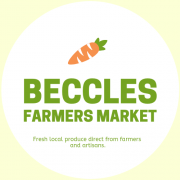 This market is set to be our first (almost) full-house of the year with the returning Helen’s Herbaceous plants, Seasons Bounty Marmalades as well as craft and jewellry stalls. All of this will add to our usual 25 delightfully delicious local meats, veg and fruit, chocolate, fish and other artisan stallholders. Our staple Lamb stall DJ Barnard’s (who first joined the market over 17 years ago!) will be bringing a range of samples and treats for your tasebuds to enjoy. As fifth generation farmers, DJ Barnards pride themselves on producing some of the finest meats in Norfolk, having sold home reared meats to the public since 1997. They farm in Breckland, covering the villages of Rocklands, Shropham and Eccles. They are a small family run business, managing the farm, butchery and deliveries. This enables them to provide a bespoke service to customers who enjoy hearing how the animals are reared on the farm and speaking to a friendly face at the market. Some of their particularly popular products include Minted Lamb Meatballs that are covered in a mint glaze. You can pre-order these direct through their own website. This Saturday the market will be open from 9am – 1pm. As usual there will also be our cafe area with hot drinks, cakes and a barbecue with Burgers and Sausages (from our very own Hundred River Beef). With ample parking and disabled spaces we offer a great location for a morning outing that will also support your local businesses!